I don’t really buy into the “crochet stitch names” kind of thing, meaning, unlike knitting that has an understanding that “garter stitch” is nothing but knitting every stitch, I don’t feel that there is anything that really fits this in crochet. If I call something a “popcorn”, all I am essentially saying is that it is a group of stitches that are joined at the top and bottom of the stitch…I am not telling you how many, or where the stitch is worked, there are just to many variables to be consistent over all the possibilities. So with that said, I have to have some way to differentiate from the stitches I want to share, thus they will have names, but keep in mind my names may not match what another designer may refer to the set of stitch patterns. So I will refer to this stitch pattern as the Stacked Clusters. 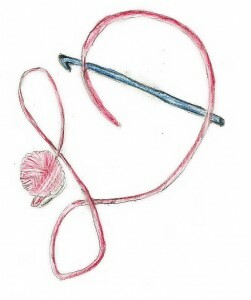 A Cluster stitch is basically where the base of many stitches are worked into the same point, but are finished together as one stitch, in a manner of speaking, like a decrease worked in the same location. 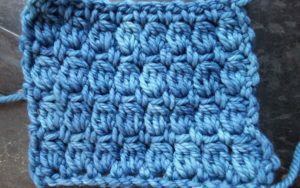 For this stitch pattern the Cluster (Cl) stitch will be worked as follows: [Yarn over, insert hook into indicated stitch, Yarn over, pull through a loop, Yarn over pull through 2 loops] three times, there will be 4 loops on hook, yarn over and pull through all 4 loops. 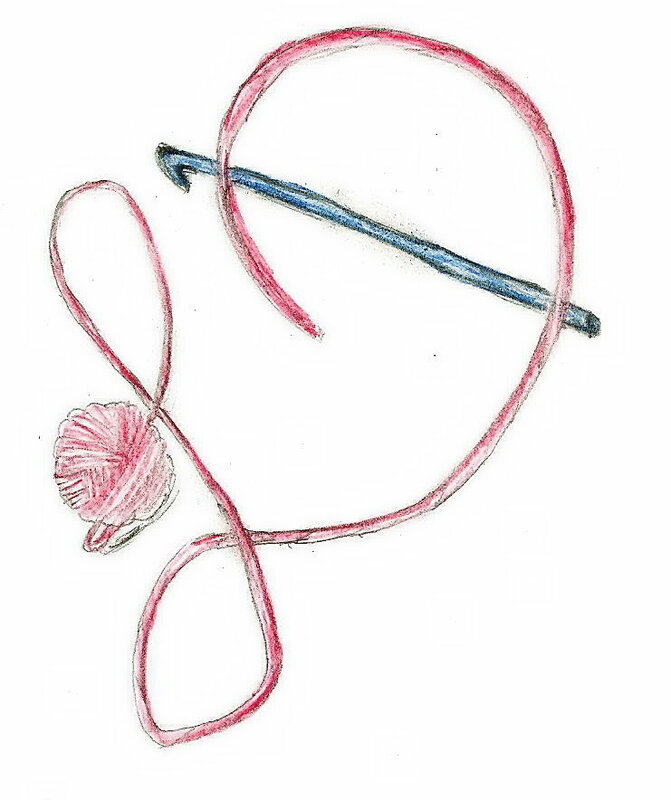 Row 1: Create a chain that is a multiple of two, single crochet in the second chain from hook, [chain 1, skip 1 chain, single crochet in next chain] repeat across, turn. Row 2: Chain 3, [Cl in chain-1 space, chain 1] repeat across, double crochet in last stitch, turn. Row 3: Chain 1, single crochet in same stitch, [chain 1, skip 1 stitch, single crochet in next stitch] repeat across, turn. Repeat Rows 2 & 3 until desired length. 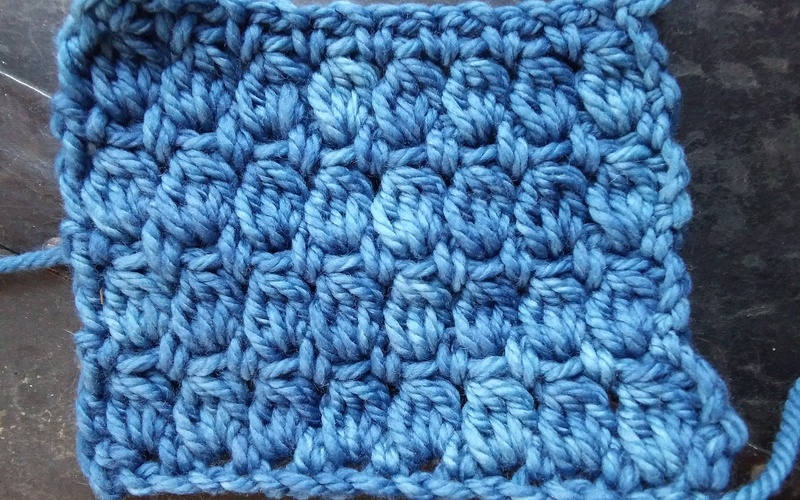 For some more fun with this stitch, use two colors and change colors every row. Leave long tails when changing yarn and create fringe as you work.